We’ve got a sick line-up this year: RJD2, Charles Bradley & His Extraordinaires, Emancipator, MC Yogi, Tycho and more. Want a sampling of the full line-up? Check out our Wanderlust Whistler playlist. 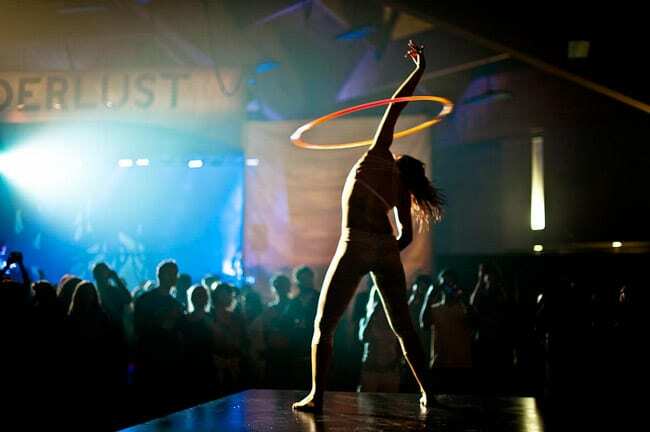 The Wanderlust Spectacular is our version of the yoga circus. This festival kick-off party is open to any ticket holder and aims to delight and engage all of your senses. Grab a friend and fly through the mountains, side-by-side on the longest zip lines in Canada. Enough said. Discover how you can find your state of balance with the 5,000-year-old philosophy and practice of Ayurveda. Ryan Leier, affectionally known as Ryan the Lion, is such joy to work with. This year, he’s offering a Speakeasy, a few exquisite yoga classes and he’s co-leading our Voyager Immersion. In this video, Ryan tells us the story of losing his daughter, Thora Grace, just shortly after her birth. Whistler biking is legendary. There’s something for everyone, beginners and experts alike. Oh, and if you want to bike at night – you can do that too. Learn the fundamentals of the acrobatic, smooth and cat-like movements that are popular in Capoeira, an Afro-Brazilian martial art. Disguised as a dance, Capoeira is a actually a form of self-defense. Super cool. Just watch the video. Then sign up for the class. Are you a yoga teacher? Do you want to be? 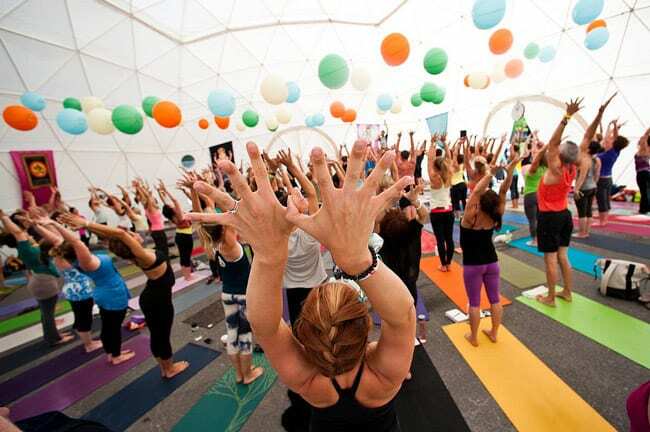 Maybe you just want to deepen your practice and spend a whole week at Wanderlust. Check out our Voyager Immersion program. No matter your gender identification, awakening and pampering your inner feminine is a powerful practice. We all know yoga is far more than poses. Let your festi side run wild in this class, where you’ll enjoy vinyasa flow yoga, devotional songs, trance dance, ritual and prayer. Ride the Whistler Gondola up to The Highest Place and get your grub on at The Farm to Table dinner. Saturate your taste-buds in delicious, local delights while feasting your eyes on some of the most gorgeous views in North America. Breath work (pranayama) in a high-altitude atmosphere? You haven’t lived until you’ve experienced this high. Breathe deep in these pranayama-focused meditations. Partner yoga can be an excellent exercise in trust and connection. Relaxing and relying on another person on your mat can be one of the most enriching experiences out there. Give it a go. At the surface, yoga and rock climbing seem to have little in common. Come learn how the opposite is true. 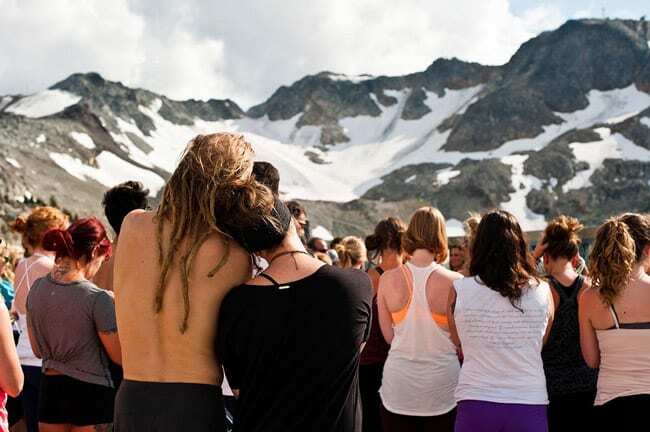 If you want to surround yourself with hundreds of yogis at The Greatest Place, you can take classes with some of the most well-known names in yoga: Seane Corn, Schuyler Grant, Shiva Rea, Eoin Finn, Cameron Shayne and more. All those classes, plus singing, dancing and howling at the moon will take a toll. Recharge with adult sleepy time. Sean Aiken, creator of The One Week Job Project, an inspiring journey across North America in which he worked 52 jobs in 52 weeks to find his passion, offers a Speakeasy on how to do what you love and love what you do. What would a Wanderlust Festival be without Standup Paddleboard Yoga on BOGA Boards? Incomplete. That’s what. Running is one of the most popular and commonly misunderstood forms of fitness. Learn to run any terrain with your whole body in a way that allows you to build your energy, your strength and your endurance. 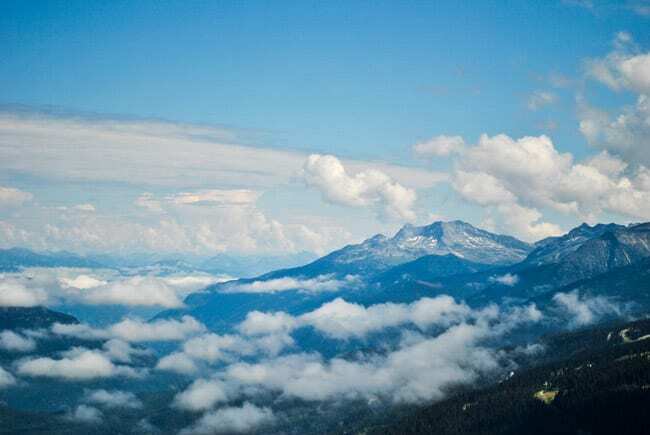 Our Partnerships Manager, Nicole Lindstrom, is offering sunrise hikes at Whistler. She’s basically one of the nicest people ever, so meet her on the mountain. After their set, The Soul Rebels will travel through the Village, marching-band style. Join the fun and follow them to The Greatest Place to get amped for RJD2! While our festivals are filled with a variety of opportunities to feed you physically, emotionally and energetically — some of the best memories are made within the confines of unstructured playtime. So no matter what you get yourself into, be sure to stay open to the magic of the moment.